Together with Cai Be and Phung Hiep, Cai Rang Floating Market in Can Tho City is one of the three biggest in the Mekong Delta. The shops and stalls at the market are boats of different sizes. 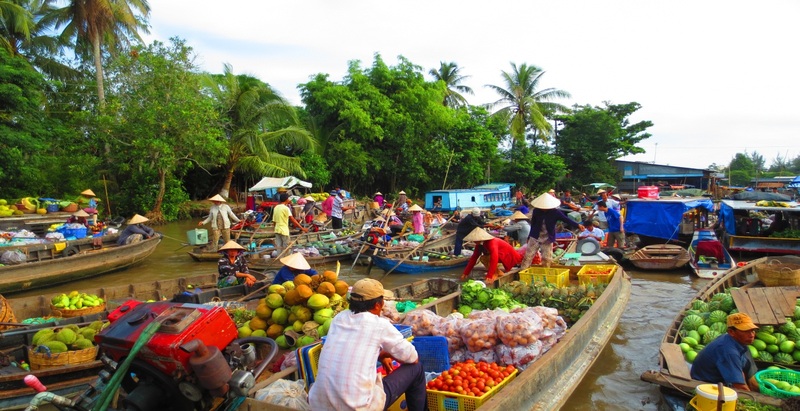 Just 6km from Can Tho in the direction of Soc Trang is Cai Rang, the biggest floating market in the Mekong Delta. There is a bridge here that serves as a great vantage point for photography. The market is best around 6am to 7am, and it's well worth getting here early to beat boatloads of tourists. This is a wholesale market, so look at what's tied to the long pole above the boat to figure out what they're selling to smaller traders. It is said that “not being in Cai Rang floating market means not knowing the land of Tay Do – an old name of Can Tho”. 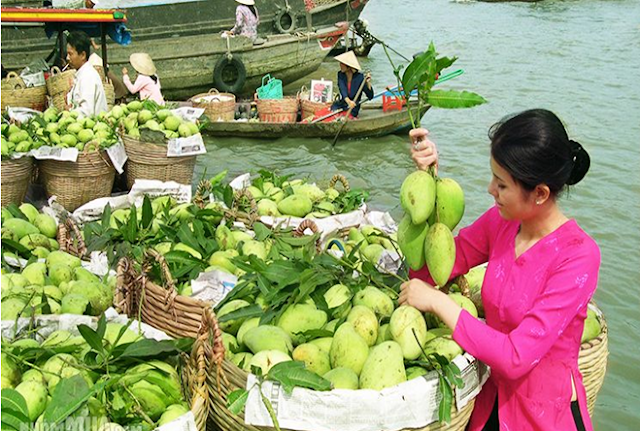 Cai Rang floating market, one of the famous floating markets of the Southwest, specializes in selling fruits and agricultural products of the whole region. Every early morning, hundred boats gather together where their owners start to sell agri - products. To be recognized easily, they hang out product samples on a long bamboo (called Cay Beo) in front of the boats, so that they do not need to cry their wares as in mainland market. Trade scenes on the floating market, just about 5 kilometers from the city center of Can Tho and busiest trade from early morning to about 8-9 am. About 6 am, hundreds of big and small boats park close together to join in the floating market. 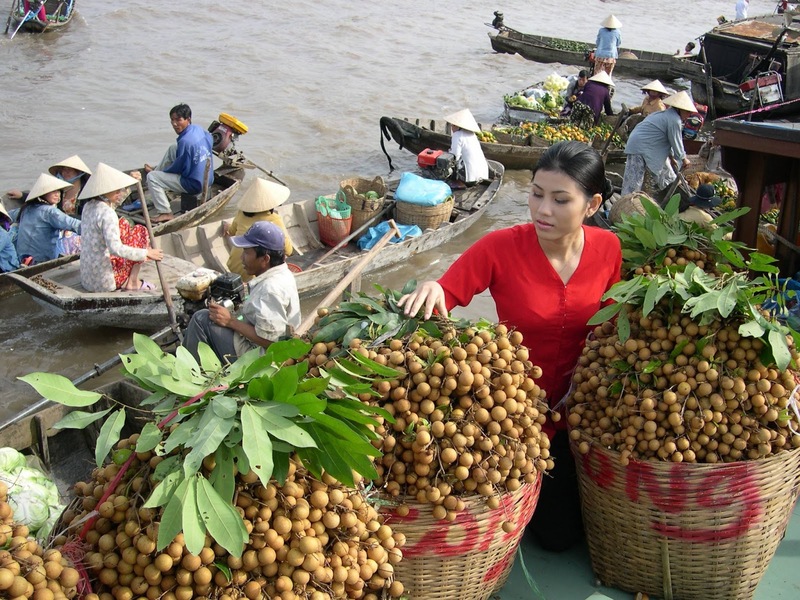 All boats is full of goods, fruits is popular hanging on a pole of the boat, that pole is called "cay beo" (beo tree). So buyers just look at "cay beo", they can know the boat sells what. Cai Rang Floating Market is specialize in buying and selling wholesale fruits, agricultural products of the region. Goods here in large numbers and each item is classified so uniform in quality and size. 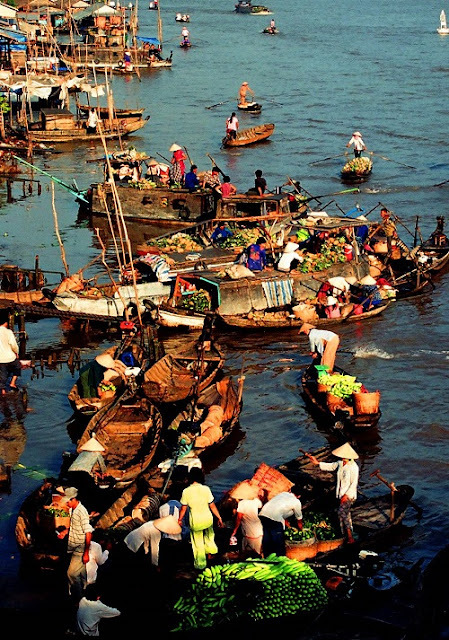 The floating market has a full range of services such as: fuel, pharmacy, confectionery,etc. They go very professional, selling and collecting - the interesting images. Cai Rang Floating Market is not only a place for business, living of Can Tho people but also a tourist attraction of foreign tourists. Sometimes, in the crowd of boat with full of fruit, goods, you can see small cruise ship with visitors, many visitors. After an exciting shopping time, you will understand a lot of people, way of life and the definition of the people living here. And, do not forget to buy lots of fruit to enjoy. Coming to the floating market, you can go around the market to buy something, enjoy rustic dishes, soak up the bustling atmosphere of the market on the river, see and learn the lives of many families on the river with many generations living on the boat. 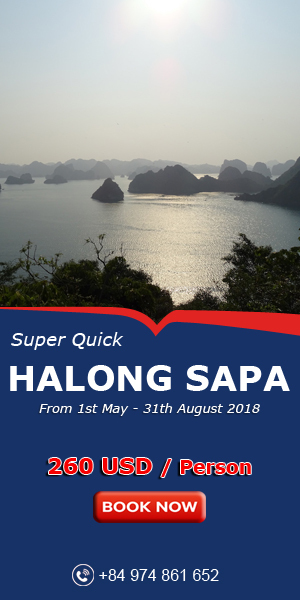 Not only enjoying the feeling of floating on Hau river, the fresh air of the morning, you can also listen to the sound of engine, brandishing oars, calling, laughing,etc. Many have agreed that visiting floating markets is among the can-not-miss experience in Southern Vietnam. 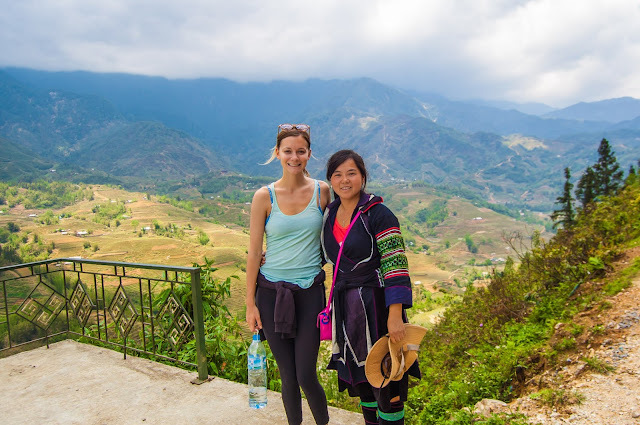 There are a lot of travel agencies that offer a wide range of tours to Mekong delta with various tour duration and floating markets are included in most of them. 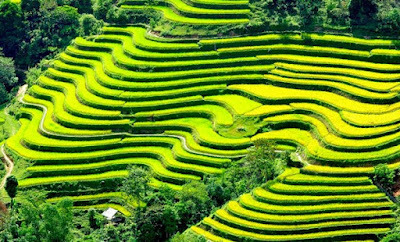 Those without lots of time in their schedules are recommended to chose one Mekong delta day tour with floating market in its itinerary that best fit their time-frame. 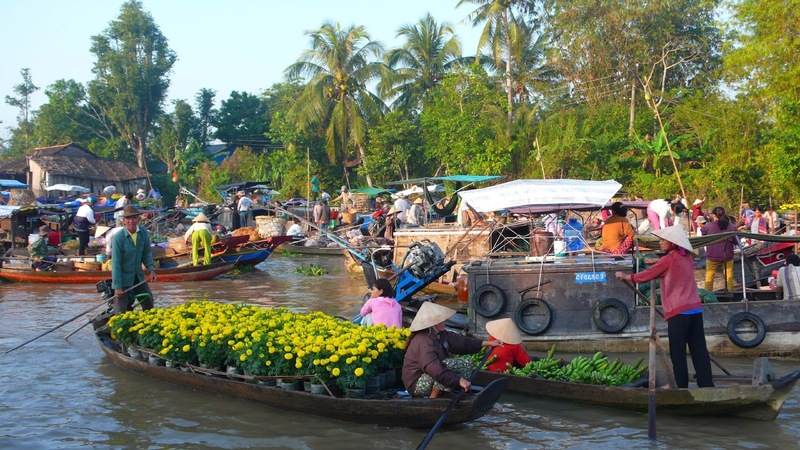 Have you been to the Cai Rang Floating Market? If not yet, let’s take a 30 minute boat ride to the market. You will be actually awake and enjoying it! You wind find it very peaceful floating down the river in the early morning. 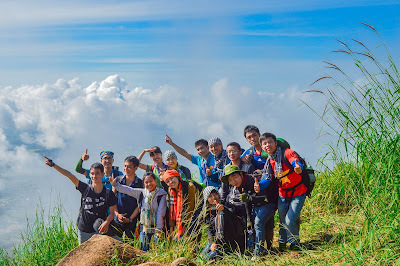 Then, tell VietNam Typical Tours why you think this market is a great place!